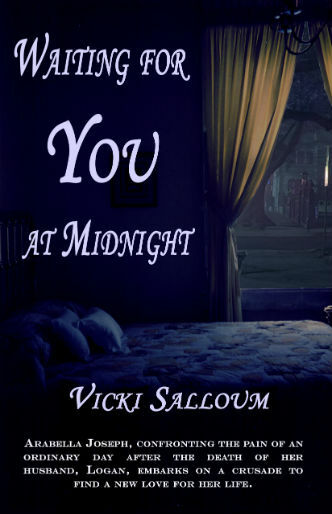 Vicki Salloum is the author of the new novel Waiting for You at Midnight. 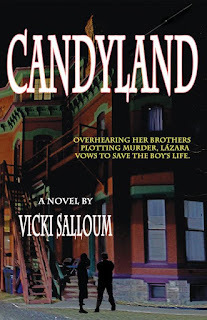 Her other books include Candyland and Faulkner & Friends. She lives in New Orleans. Q: What was the inspiration for your new book, Waiting for You at Midnight, and for your character, Arabella? A: My husband was the inspiration for Waiting for You at Midnight. Like the fictional character, Logan, in the book, my husband was dying of cancer. After he died, I wrote this book as a final goodbye to him, to say all the things I didn’t say when he was alive and to let him know how much he meant to me. I don’t think he just disappeared somewhere. Somehow, I believe he is aware of all this and knows that I wrote this book to honor him. And I was the inspiration for Arabella. 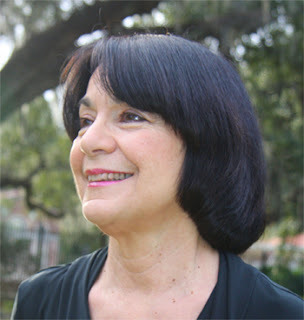 Her emotional needs in conflict with the workings of her moral intelligence mirrors that of the author in that disorienting first year of widowhood. 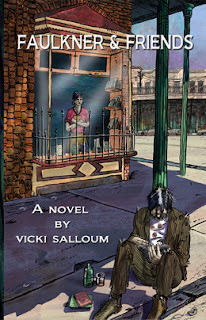 Q: What do you think the novel says about widowhood? A: Everybody’s grief is different. I don’t know of any widow who acts like Arabella, but then I don’t know the workings of the minds of most women who lose their husbands. I only know what Arabella feels. She feels like the place in her heart where he lives is bleeding. She feels the rawest kind of aching, in her shoulders and upper arms and throat and back of the neck. The emptiness is so intense that she feels everything human in her is about to die. She is scared to death of being alone and is obsessed with finding someone to take her husband’s place. This is widowhood for Arabella, but it doesn’t say anything about widowhood for anybody else. Widowhood is personal. How a woman handles it depends on her emotional and psychological makeup and her moral character. Q: Did you know how the novel would end before you started writing it, or did you make many changes along the way? A: I am an instinctive writer. Like Flannery O’Connor, I want to be just as surprised by the ending as everybody else. O’Connor also said that good stories come from the heart. I try to write from the heart and whatever the ending turns out to be, the heart has led me there. As far as changes, the manuscript changed for the better after the editor I hired got hold of it. Most of her suggestions were about the writing itself, not about structure or content. 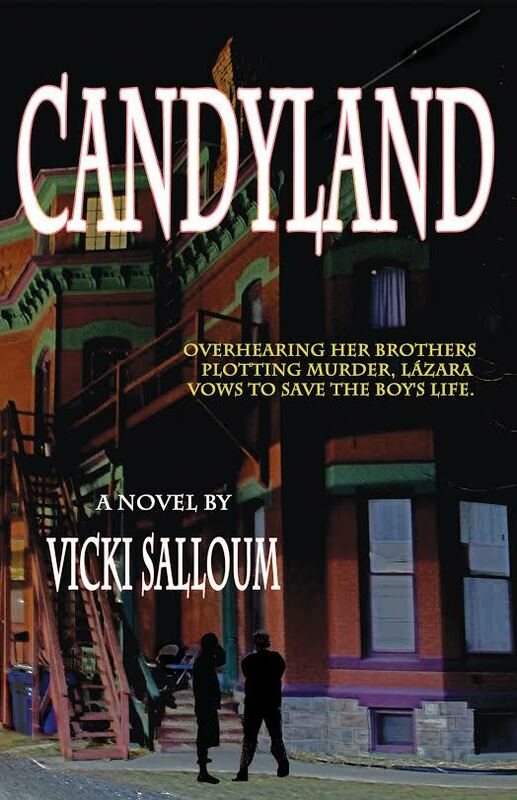 Fiction deals with reality through what can be seen, heard, smelt, tasted, and touched. I have a lazy habit of wanting to tell the story rather than show through sensory detail. My editor put a stop to that. Q: How was the book’s title chosen, and what does it signify for you? A: The main character, Arabella, met Logan, the man who was to become her husband, more than 20 years earlier. Their first significant time together was on the night of New Year’s Eve, when they slept together, and then the next morning, when they went walking around the city of New Orleans, holding hands and telling each other their life stories. Fast forward more than 20 years when Logan dies in late September. Three months later, the widow Arabella realizes she will be alone on New Year’s Eve. She thinks of all the past New Year’s Eves that she’d spent with her husband and becomes terrified at the thought of being without him on this night that meant so much to them. She scrambles to find friends to be with—parties to go to—and, when her plans fall through and New Year’s Eve finally arrives, she begins to see things in a different light. In her thoughts she speaks to Logan, This is New Year’s Eve. You are no longer with me. Everything I have of you is right here in this house. 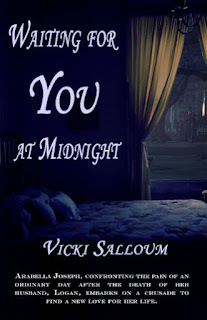 Grief-stricken, she longs for his spirit to appear to her at midnight and she realizes that on this special night there is nowhere she would rather be than alone with him at home, in the place where they loved each other. A: I can truthfully say I’m working on nothing. Don’t even have an idea for a novel in my head. Lately I’ve been thinking of other things. This morning, I volunteered to work for the homeless at one of the local Catholic churches. And I’ve also been thinking of teaching fiction writing to children or adults on a volunteer basis somewhere, thinking that all these classes and workshops I’ve taken over the years should be put to some good use. But I can guarantee you that I’ll be starting another novel within six months. Fiction writing is not only an addiction, it is the only thing in this world I absolutely love to do. A: People who have not been through what Arabella has been through don’t understand how intense grief can be, how it manifests itself, and how long it can last. But when you experience it yourself, you realize that, in your aloneness, you are stuck with the problem of what to do about it. How to get rid of the pain. How to occupy your time so that your days have purpose. How to feel peace. And joy. And how do you do all these things when your thinking is so muddled that you can barely wash your face in the morning. Finally, how do you find the strength to make a triumph of your life because that is what you most want to do. People who have been caregivers are the ones who most want to make a triumph of their lives. More than anybody else, they understand how precious life is and how fleeting. So this book is an examination of the soul in turmoil.